Hours after being accepted to OPCW, PA joins two UN agencies and the global convention to halt the spread of chemical weapons. The Palestinian Authority has joined two United Nations agencies and the global convention to halt the spread of chemical weapons, UN envoy Nickolay Mladenov said on Wednesday, according to the AFP news agency. The announcement came hours after the Organization for the Prohibition of Chemical Weapons (OPCW) announced that it had recognized “Palestine” and that the PA had joined the organization. Mladenov, who serves as the UN coordinator for the Middle East, told the Security Council that the Palestinians had joined the Geneva-based UN trade organization UNCTAD, Vienna-based industrial development agency UNIDO and the Chemical Weapons Convention. "On May 15, Palestine acceded to the United Nations Conference on Trade and Development, the United Nations Industrial Development Organization and the Convention on the Prohibition, Stockpiling and Use of Chemical Weapons," Mladenov was quoted as having said. The envoy did not address whether the decision will have an impact on funding from the United States for these agencies and the OPCW. 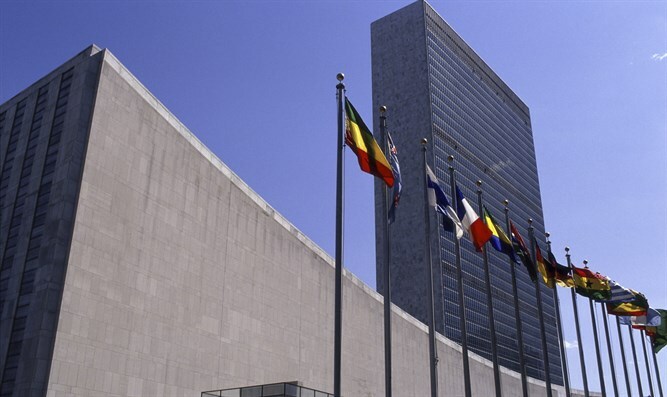 The United States withdrew in 1996 from UNIDO, a little-known agency that promotes "inclusive and sustainable industrial development," according to its website. The OPCW and UNCTAD rely on voluntary contributions from UN member-states to fund its activities as well as regular funding for its budget. The United States withdrew some funding for UNESCO when the PA joined it in 2011 and last year pulled out of the agency altogether due to its ongoing anti-Israel bias. The Trump administration has also cut funds to the UN’s “Palestinian refugee agency”, UNRWA. The PA has unilaterally joined international organizations as part of the diplomatic war it has been waging against Israel in recent years. The PA has been able to do so since the UN General Assembly recognized the "state of Palestine" as a non-member observer state in 2012. On Tuesday, the PA official in charge of foreign affairs, Riyad al-Maliki, met with the chief prosecutor of the International Criminal Court (ICC) to push for an investigation of Israeli war crimes after more than 60 Gazans were killed last week during violent riots along the border.